“Susan, call 911, your father is having a heart attack, HURRY”! Having picked up the phone then clumsily pressing each number cautiously, the bile was rising in my throat from the sheer fear and panic of how my voice would sound when the 911 operator finally answered the call. With shaking hands hearing the sounds from the other room I tried to dial the numbers correctly this time. Feeling the panic mounting around me from the stress and anxiety inherent to the situation I could feel my throat closing knowing that a clear voice would now be impossible. “Hello, this is 911, please state your emergency”. Waking up in a cold sweat feeling a full on anxiety attack from the nightmare that just played out in my sleep, a panic set in; how would I manage to make a call to 911 during any emergency? Laying there in the middle of the night, heart pounding in my throat the real fear of being confronted with such a call was suddenly looming large, what WOULD happen, how WOULD I manage in a life or death situation? How do you control your voice when your vocal condition is worsened by stress? How do you get your point across in a potentially life or death situation? How do you manage to communicate when you have no voice at all? These are very real concerns for people with a vocal disorder or for people that have completely lost the ability to speak. The fear of calling 911 for people with a vocal disorder can be paralyzing. According to one 911 dispatch operator there is no formal training that specifically addresses taking calls from people with vocal disorders. Many times if a voice sounds strange that caller is “misdiagnosed” in a way by the dispatch operator. The best way to avoid this misdiagnosis from occurring is to identify your challenge. 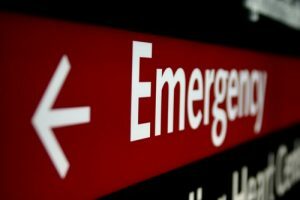 “Hello, my name is…, I have a vocal impairment and my emergency is.” If no mention is made of a vocal impairment at the beginning of the call it could be all too easy for an incorrect assumption to be made about the caller’s cognition, cognitive function or even a mistaken assumption about being inebriated. Remember even in a state of emergency be concise, choose your words carefully. Tripping over unneeded words makes you, the caller more frustrated and increases the level of confusion for the dispatch operator. Take comfort in knowing that even if your words are inaudible or incoherent a police officer will be dispatched to the address associated with the number you are calling from (response times will vary depending on your geographical location). State as clearly as possible if an ambulance is required, making your needs known at the onset is critical to getting the proper help you need in a timely manner. Calling from a landline will assist emergency personnel by giving your exact location negating the need to painstakingly repeat the address you are calling from, but keep in mind that billing address must be the same as the physical location. This option if available could also decrease your level of anxiety. What do you do if a land line does not exist? Cellular phones work as well but will be routed to the police agency of the nearest cell tower if you are away from home. Another option to ensure people with a vocal impairment are able to access emergency services is through the use of a relay service as used by people with a hearing impairment. These options include the use of a TTY relay service; this service will automatically let the operator know where to dispatch emergency personnel. Voice Carry Over (VCO) for people who are deaf or hard of hearing who communicate by speaking and lastly a Hearing Carry Over (HCO) relay for people with a speech disability.However, relay services are not widely utilized by those with intermittent voice loss for a variety of reasons but could be a helpful option for those people with any voice loss. According to 911.gov the use of a teletypewriter text telephone device (TTY) has its limitations as well. The technology is old, it is cumbersome and slow. While modern technological advances have greatly improved the quality of life for people with vocal impairments; texting, instant messaging, video chat and email is currently not compatible with 911 services. As public safety answering points (PSAP) implement Next Generation technology the need to relay messages will no longer be necessary as PSAPs will be able to communicate directly with people with communication impairments through text messaging and video relay. However, there is no information provided giving a timeline for these upgrades and changes. Hopefully you will never need to access 911 services but if the occasion should ever arise keep the following in mind; stay calm, as that is your best bet to maintain a good voice, if you are living in a situation with the potential for an emergency to arise write a script of what you would tell the dispatch operator and then practice that script. Accessing 911 emergency services does not have to create a sense of panic and fear, understanding how the system works and knowing your options will increase the sense of control and independence you have over a potentially life threatening situation.